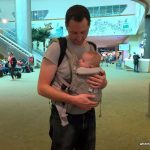 Through our travels with babies and toddlers, we have come across some awesome baby travel gear and some not so great travel gear for babies. We have written many reviews on this site to help you find the best baby travel gear for your situation. 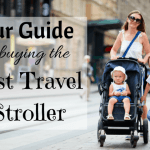 In this article, I hope to bring it all together to be your “one stop shop” for finding all the baby travel accessories you need to make your trip a success! If your kids are older, read our guide to the best toddler and kid travel gear. 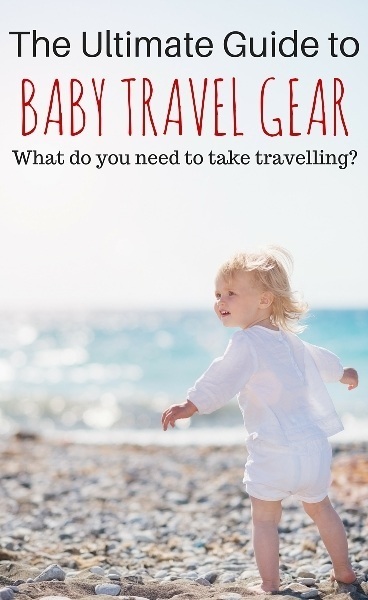 No matter where you are going on your trip, the travel essentials for babies all revolve around three things – eating, getting around and sleeping. The easiest way to ensure your baby has a safe and comfortable place to sleep is by taking your own travel crib. We initially relied on hotel cribs when we started travelling but this was a mistake. They were often in terrible condition (like with no mattress! ), too small or just not safe. We have been much happier since we switched to our own travel crib. We particularly recommend the KidCo Peapod. We like the pop out design as it means that it takes up the minimal space possible in our luggage. 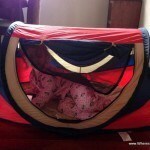 The kids also like playing in their “tent”. Also highly recommended is the BABYBJORN Travel Crib Light. 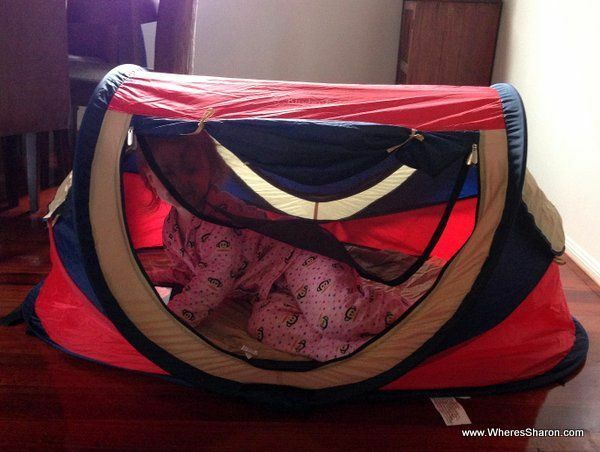 If your baby is a bit older and doesn’t need a crib anymore, a toddler travel bed like the Shrunks Indoor Toddler Travel Bed is a great option. Our full guide to travel cribs is here and our full guide to toddler travel beds is here. I think deciding what to take to transport your baby can be one of the toughest parts of working out what baby travel equipment you need. The stroller versus carrier decision can be tough! We personally like taking both. They both have their uses – I think a carrier is far better whenever you can get away with it. However, if you have a heavier baby then it can be hard work – we know! Plus, you might have more success getting your baby to stay asleep in a stroller. I know I appreciated having the baby asleep in the stroller and then having relative freedom compared to when they are strapped to me. 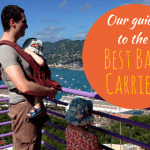 You can read more about my thoughts about the best travel strollers and best baby carriers. We particularly love the Ergo carrier and our new Ergobaby Adapt which is perfect from birth. The other infant travel gear item that can cause headaches is infant car seats and booster seats for older children. There are some great travel options available – you can read more about them here. For a stroller, we are in love with our Mountain Buggy Nano which has a crazy compact fold and an included travel bag. We can carry it over our shoulder which frees up our hands for our kids and other luggage. Read more about it here. For eating there are a few things you will want to think about. If your baby is eating solids then you will want to think about taking a travel high chair. Our favorite is the First Years On-The-Go Booster Seat. It is very easy to use and does not take up much space at all. You can read all our travel high chair reviews here. If you want a bigger high chair option for home, look here. Many places do not have high chairs and we found this a stress free way of eating out with our kids. Another item we have found to be invaluable is a wipeable bib. It helps keep bub (or toddler) clean and is easy to clean for the next use. We have also travelled with disposable bibs which is easy for short trips, but for a longer trip, it’s hard to beat the wipeable alternative. 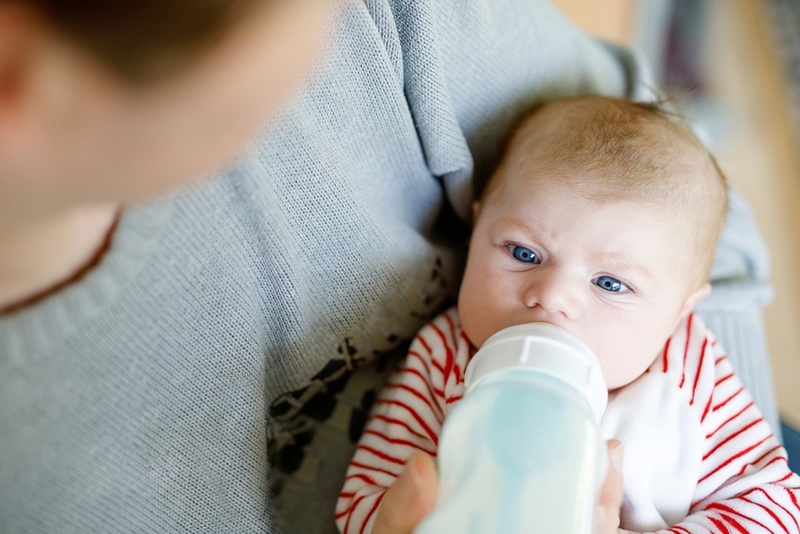 If your baby is drinking from a bottle, you are also going to have to consider some other baby travel products – primarily bottle sterilizers and bottle warmers. You can read our full guides to buying the best bottle sterilizers and bottle warmers. Of course if your baby is drinking formula, you will also have formula and bottles on your travel essentials for baby list. I recommend taking the same formula you use at home (even though it’s painful to carry if you are going away for any length of time) unless you are travelling within the same country and are sure you can buy it at your destination. We always just took our usual bottles as well as a baby bottle brush to clean them and a formula dispenser for when we were out and about. Another item you might want to consider is a backpack diaper bag. This can be a great way to keep everything together and a backpack is much easier to take travelling than the more traditional diaper bags you might use at home. This site is a great resource for working out the best backpack diaper bag. A travel playpen is also handy. You can find some options here. In addition to all of the above you won’t want to forget baby travel supplies of nappies/diapers and wipes. As much as I was a cloth nappy addict at home, on the road, it was disposables all the way. It is usually easy to find disposable nappies most places. The only exception is if you have a super huge toddler. I had problems finding nappies for my 20kg two year old in Asia, so you have a bigger kid, you might want to consider taking as many as you can from home. 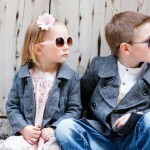 Hopefully, you have found this article about the best travel gear for baby helpful. I’d love to know in the comments if you have any essential baby travel items that you would like to recommend. What do you think are the best baby travel products? We almost purchased the Pea pod, but decided in the end decided we wanted to travel a little lighter. We’re currently stuffing our 14 month old in between us in the bed, or on the side closest to the wall. It works out so far. We did have one crash in Johor but we were lucky and it wasn’t serious. Is it hard work carting around a stroller, pea pod/crib, booster seat / high chair? We just have 3 backpacks and that seems hard enough. Especially when we’re sometimes traveling long distances via Tuk Tuk, long tail boats, and whatever else. There have been times we would have loved the stroller ( like in KL on the shopping strip or in malls) but other times ( like when walking down the road in Georgetown, Penang) this would have been very trying! Yes whether to take a stroller or not totally depends where you are. On our current adventure, we haven’t needed one in Asia, just in Europe. Our youngest is 3 though. The fact is that we don’t ever need to spend too much time walking in Asia because we can jump in a cab whenever we want and have our own car here in Penang. We did find it useful when they were both younger for naps and because our 2 year old was over 20kg and we just couldn’t carry her for long periods. We actually found it easier getting around with the stroller in Europe when we were moving between places. It meant one kid was in the stroller and couldn’t run away and two bags could fit in the basket under it. Since we only ever had 4-5 small bags, that didn’t leave much else. The booster seat we travelled with in Europe easily fit into our carry on only luggage. We travelled with suitcases when they were younger – we would take two and one would basically be baby gear plus formula bottles, nappies etc. The formula was a massive space killer as we took 7 tins for one trip. The travel crib and travel high chair barely take up any space compared to that! The Peapod fits nicely at the top of a suitcase so we didn’t find it too much of a space killer. It would be different travelling with backpacks though. The travel high chair we used barely took up any space at all and I would use it as the bag we would take out for dinner with water bottles, bibs, etc tucked into the sides. Buying gear designed for travel does mean getting items which are far more compact and easy to transport. When our sin was younger I as a huge fan of taking our bulky stroller with us as much s possible (but there are always places where it is not suitable – so weigh up each one on an individual bases). we found not only did he feel secure in unfamiliar environments in the stroller, it was comfortable for him to nap, provided a place to eat if there were no high chairs, and most important we could carry all the baby paraphernalia without being personally weighed down. 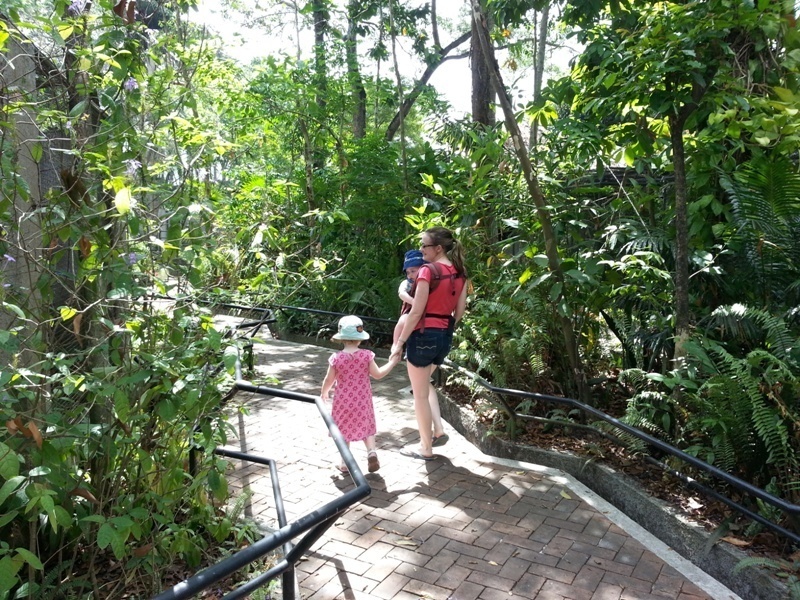 We became proficient at navigating the pram on escalators – something you wouldn’t do in Australia, but one of us would take him out the pram and carry him for the ride whilst the other did the pram. The other thing we always took was formula, bottles, bottle brush and dish washing liquid. I always rinsed the bottle with boiled drinking water at the end to sterilise. I like the idea of those camping cribs – we too came across dodgy portable cribs in hotels – and they were top hotels as well. Thanks for your thoughts Sally! I agree the pram also doubles as an excellent way to carry other items 🙂 We also are experts at taking prams on escalators lol. The condition of baby cribs at many hotels is an absolute joke! I only travelled without my own once and swore to never do it again. What a great list!. That’s a lot of stuff! My wife and I have a 5-months old and I’m beginning to realize that why everyone tells me it’s so much easier to travel with a small baby as they don’t need quite so much. Great to know what I’ll need in the future!